The Audi TT comes powered by a choice of 4- and 5-cylinder turbo engines with standard all-wheel-drive. Roadsters seat two, while the coupe seats four in a handsome and well handling package. For 2018, the Audi TT comes standard with parking assist on all models. 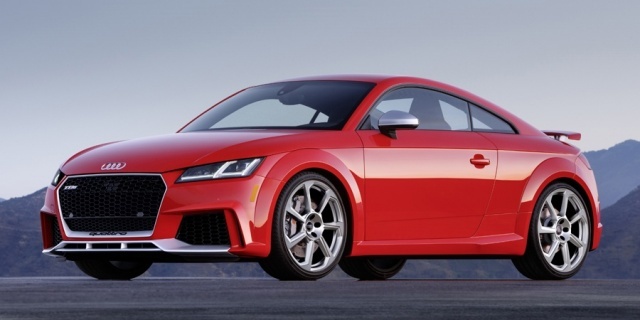 A new TT RS powered by a 2.5-liter 5-cylinder turbo engine joins the lineup with 400 hp and supercar acceleration, while new packages include an S line competition package on base models and an exclusive interior package on the TTS. Get the best price for the Audi TT of your choice from a dealer in your area. Request a price quote now.